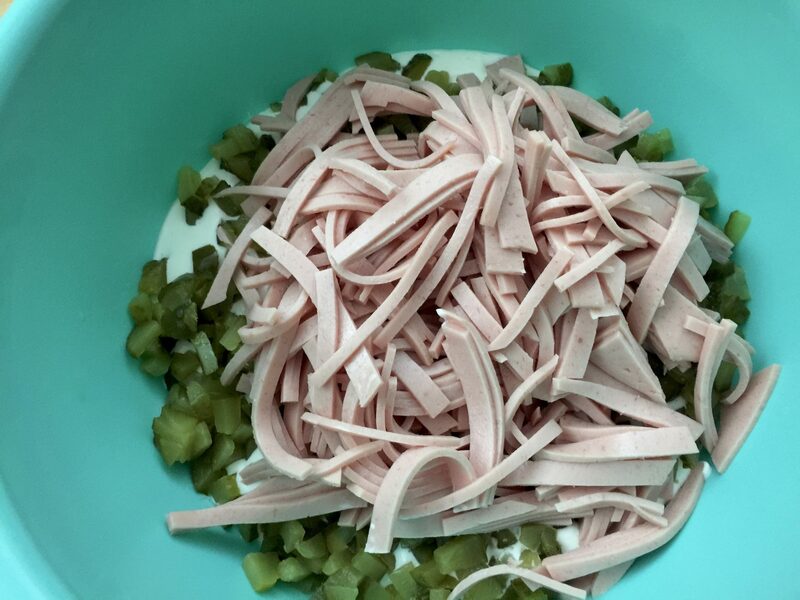 The homemade German Fleischsalat is originally made with a ring of bologna, but also tastes delicious with sliced bologna. The taste of the Fleischsalat will depend in part on the kind of pickles and mayonnaise used. I recommend Hengstenberg Gherkins which you can get in the international aisle of your grocery store or at Whole Foods. You also could order the gherkins online here. 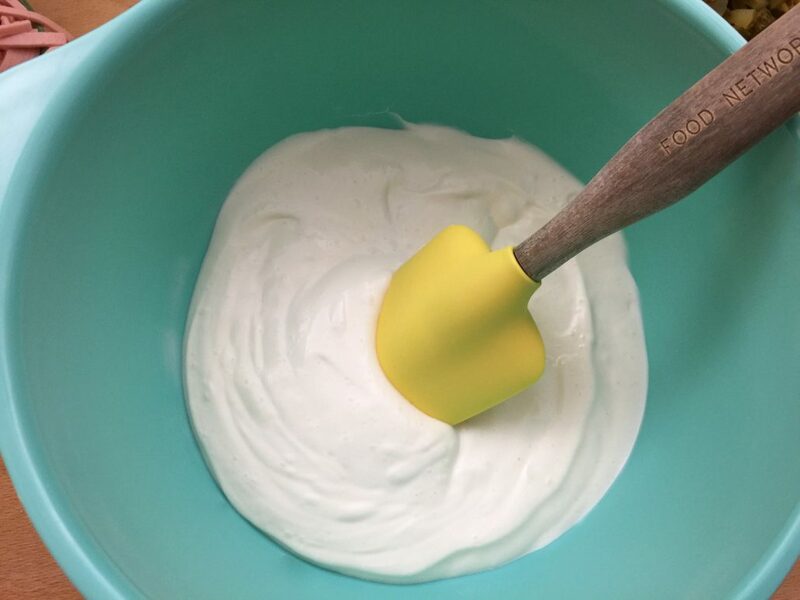 Mix mayonnaise, sour cream, liquid from the jar of pickles and sugar using a whisk. Cut the bologna in half and then into small strips. Dice the pickles. Add bologna and diced pickles to the dressing and stir with a spatula. Add salt to your personal taste. Let it chill for about one hour. 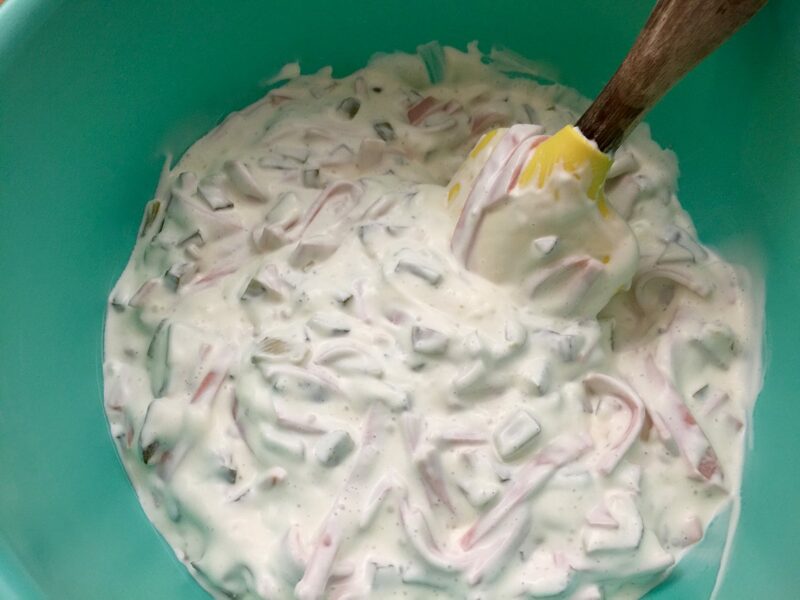 Spread the homemade Fleischsalat on fresh white bread, rolls, or baguettes. This recipe serves 6-8 people. To try the Homemade Beef Salad click here, the Homemade Chicken Salad prepared with pineapples click here, and the Red Beet Salad Recipe click here.